Matcha has been a popular ingredient for a while now. The grass-colored powder is a staple in Japanese tea ceremonies, but has now found its way into the mainstream. Derived from green tea leaves, the antioxidant-rich powder’s ability to induce a calm state of alertness versus the more jittery buzz of coffee makes it a superior way to get your caffeine fix. But finding drinks that balance the sweet flavor of matcha with the more bitter taste can be a challenge. 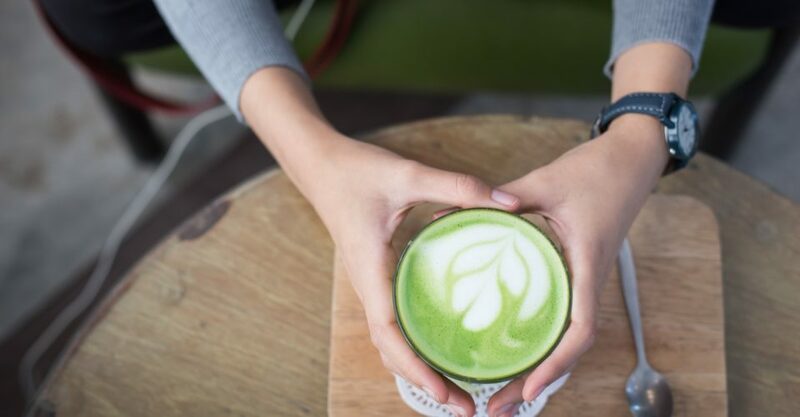 To help you find the best matcha drinks in Hong Kong, we’ve rounded up a list of top cafes that serve lattes, cappuccinos and teas infused with this age-old powder! Originally from Japan, this minimalist coffee shop serves up one of the best matcha cappuccinos in town. The rich, creamy texture makes for an indulgent drink that is sure to momentarily transport you to a Japanese tea ceremony. The matcha here is quite potent, but it’s easy to drink. The stylish café also offers a hot and iced version of the cappuccino. Nestled away on a hidden slope in Sheung Wan, Teakha offers a variety of teas popular amongst street cultures all over the world. Its “Ippodo’s matcha soy latte” is a total gem. The sweet and bitter flavors are blended together harmoniously and the soy milk creates a rich texture. Not only does Teakha offer one of the best matcha lattes in town, it also serves up some delicious and unique cakes to go with your drink. If you’re truly a matcha aficionado, we recommend pairing your matcha latte with the matcha snow chiffon tea cake. This café originally hails from Kyoto, Japan so it’s no surprise that their matcha latte is simply a delight. It has a strong, refreshing scent but the taste is quite light and airy, making it a perfect pick-me-up drink. %Arabica’s sand-colored décor and minimalistic style makes it the perfect spot to sip on your matcha latte. There are now four different locations across Hong Kong. Elephant Grounds has really cemented its status as a top coffee shop in Hong Kong over the past years. With several locations around the city, this cafe is hard to miss and you wouldn’t have to go too far to find one. Fragrant, smooth and frothy – the matcha latte here is worth adding to your list of must-try drinks. Its vibrant green pigment means that you’re getting high quality matcha. Not only does NOC offer some of the best coffee in town, its matcha latte is also perfect for those who want to warm themselves up in this cool weather. Its sweet and bitter flavors are blended together to create a light, smooth and fresh drink. NOC’s Sai Ying Pun location is worth checking out – it resembles a laboratory and it’s very spacious. The sleek wooden setting and great brunch menu makes The Cupping Room the perfect place to sip on your matcha latte. While this café is known for its exceptional coffee, the matcha latte here is simply a classic – it’s well-prepared, rich yet light and the slight bitterness of the matcha powder emanates through the latte making it a high-quality drink. A small, cosy, Taiwanese café, Uchi coffee offers a solid matcha latte. It’s a great place with colorful wall paintings. We recommend also trying the matcha-infused desserts – particularly the matcha crepe cakes. They also offer a red been matcha coffee for those who want to satisfy their sweet tooth and try something new. Want more of our favorite places to eat and drink in Hong Kong? Check out our Best of Food & Drink section!